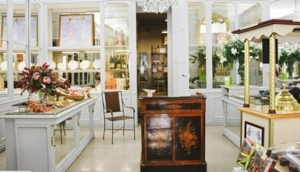 Bordeaux still maintains the culture of specialty shops in small towns and in large centres. The French entreprenure is alive and well, delighting you with choice from artisan shops, elegant boutiques, regional specialty stores or gift shops. Expect a delightful shopping surprise around every corner and friendly helpful shop keepers full of Bordeaux information. Whether you’re hunting for jewellery, wedding gifts, the perfect pen, an artist’s craft shop, leather goods, a Bordeaux souvenir or a cigar you’ll find it with the help of mydestination.com/Bordeaux.